Tourist Spots are like Alcohol. The worst ones leave a bad taste and the best ones keep you asking for more. Not that I know much about wine, but for me I’d never think twice about coming to Japan the same way I won’t refuse another glass of Martini. Unfortunately, the signs didn’t look good even before my trip began. It started with one innocent sneeze while I was still packing my things then soon came that sneeze’s brother, sister, pet dog, and before I knew it was the whole family. I had the feeling that the stars and galaxies conspired that day to align themselves in the sky and jinx my trip. It’s easy to say it could have been worse…until I forgot to bring my tripod. As usual, this Japan Trip was primarily business with me just making extra arrangements to stay longer so I can go around. 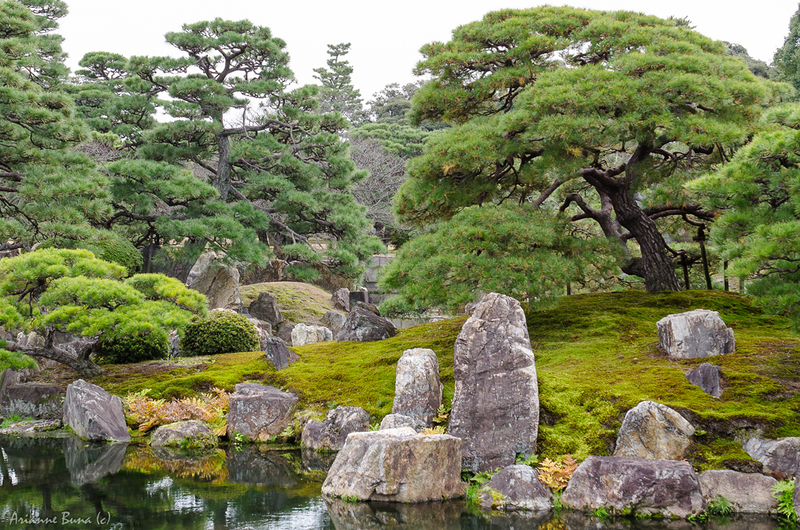 Now that I think of it, having the trip partly business and partly sightseeing painted to me a more complete picture of the Japanese way of life. For three days, me and my colleagues went to this factory to witness a new equipment that our company bought undergo a series of tests. 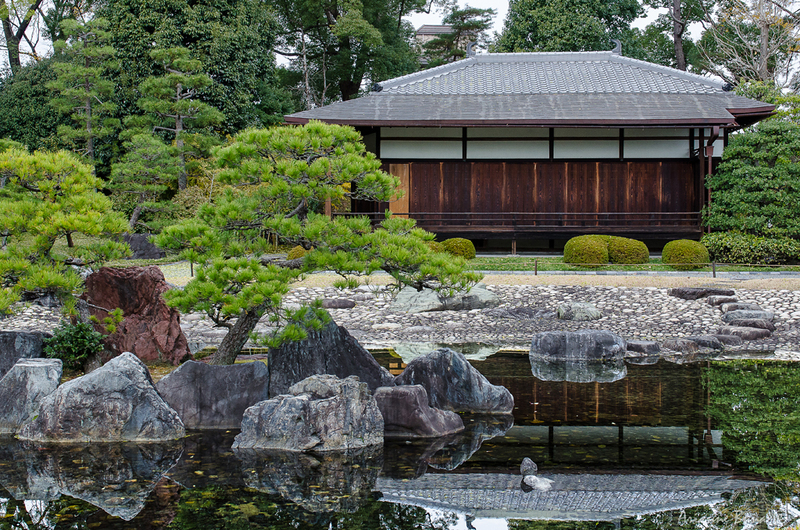 This gave me a chance to see the famous Japanese work ethic which blew me away. In the factory, there was this guy who manually recorded the test results for us every 5 minutes for the entire day during our 3-day test. In those 3 days, I’ve never seen anyone show such enthusiasm and pride in the face of an obviously boring and repetitive task. I was impressed how this guy never even once faltered as he timely and carefully read each instrument and wrote them down in his paper. And when he is not doing that, he goes to his computer to encode it so he can “Work on other things after the test” as he says. What’s doing the same thing again and again for 3 days anyway? It still doesn’t make someone superhuman but what if that person has been doing that job for 15 years? Now that is something. To be fair, this guy was also in charge of setting up the whole test which entails configuring all the equipments to match the conditions set by customers like us. 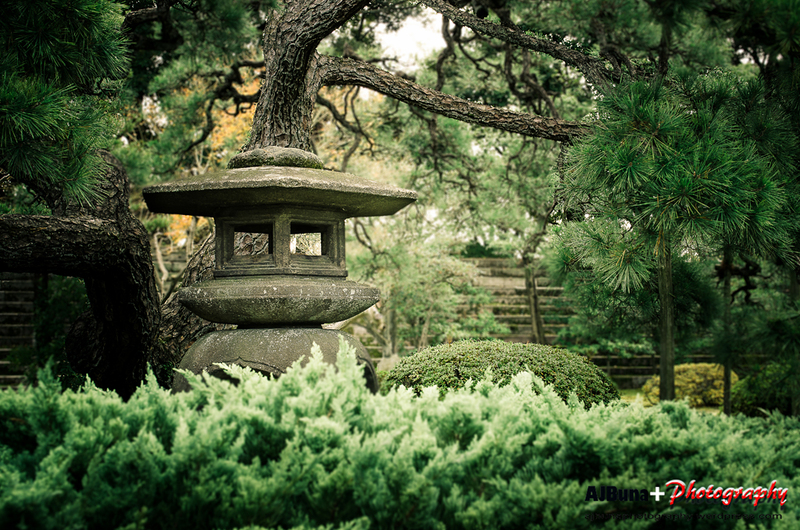 I can recall countless other examples demonstrating how the Japanese put so much Passion and Respect in whatever they do. From the lady behind the counter at McDonald’s who greets us with the same lengthy speech every morning to the guy serving us doing his best to explain what is in our Ramen every evening, Japan’s work culture was like everybody else’s work culture shifted to high gear. At some point I remember telling myself how I wish this culture was contagious so I can bring home some of it. 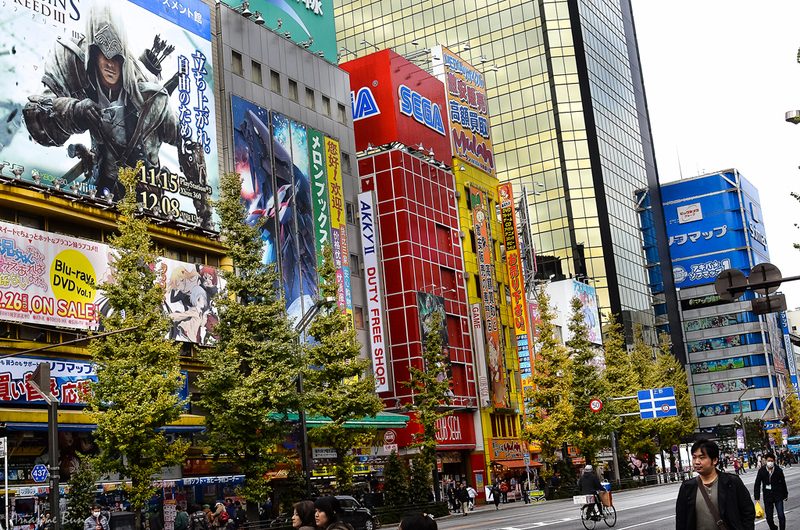 But of course, I couldn’t just pass through Tokyo without looking around. 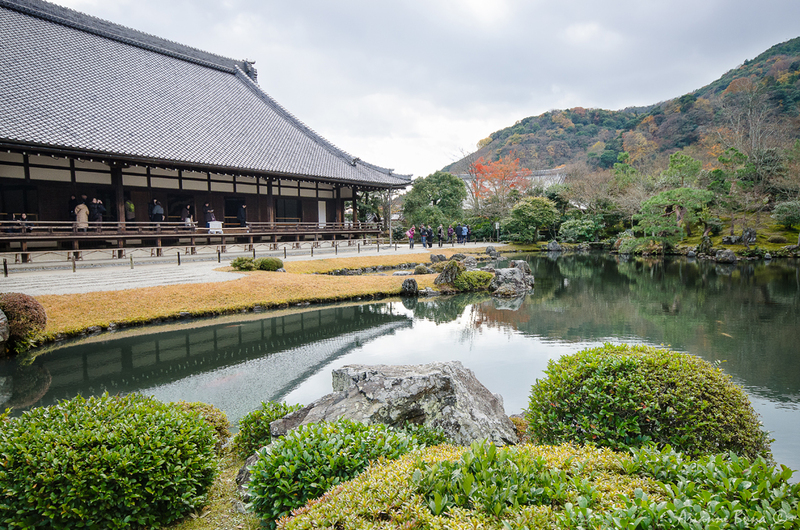 I managed to squeeze in a few itineraries in the morning the day before our group headed for Kyoto. Seeing the Shinkansen for the first time stirs up a childish awe far from what you’d feel when you see Europe’s TGV or ICE. With a fuselage resembling Donald Duck, it was like a Disneyland train ride on steroids. 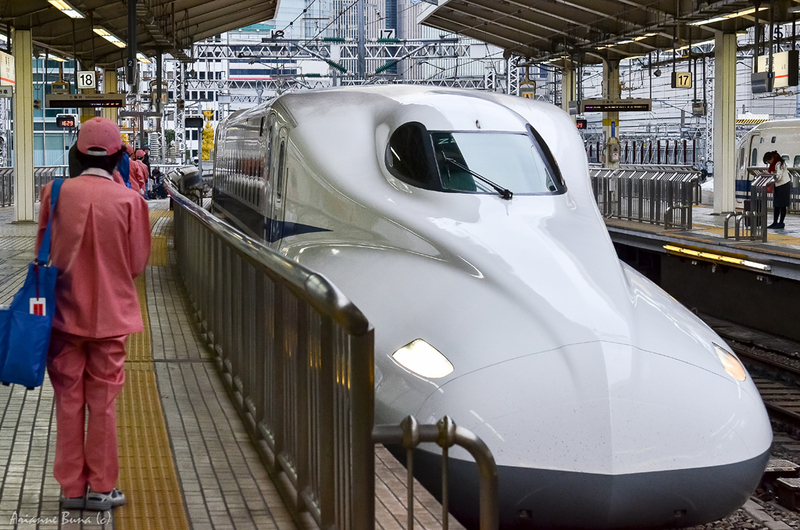 However, despite being more technologically advanced, the Shinkansen (Nozomi Line) is slower on the tracks than its Euro counterparts at least for the Tokyo-Kyoto route. Let’s leave that statement as it is we don’t want to be talking about System Reliability, Track Design or Motor placement here do we? On reaching Kyoto Station, I was surprised to see that it was just as hectic perhaps even more than Tokyo Station. Having arrived on a Sunday afternoon, I saw several Japanese ladies in their elegant Kimonos out and about the Station. Later I learned Japanese women wear their Kimonos as men would wear their Tuxedos whenever they attend significant gatherings. 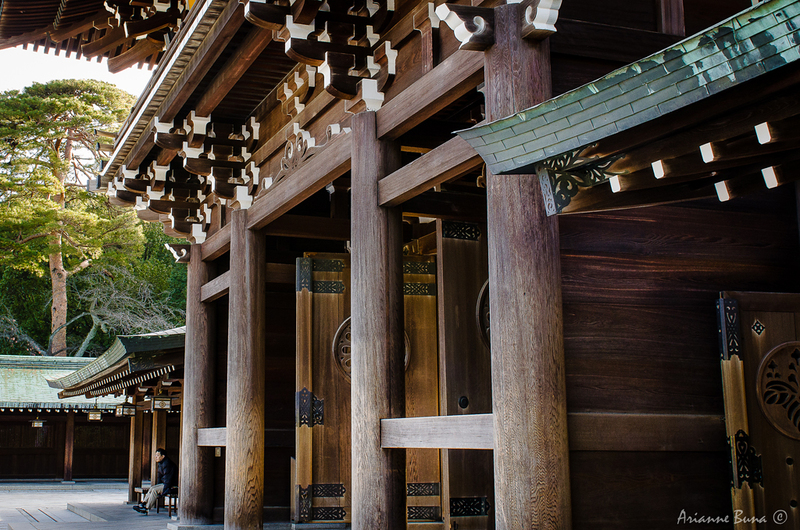 The Internet offers vast amounts of information on what places to see in Kyoto. My bag was literally bursting with brochures and maps I printed out in advance as I tried (sort of) planning my sightseeing itineraries in Kyoto. However with my nose acting up and the cold weather not on my side, I had to trim down my list. 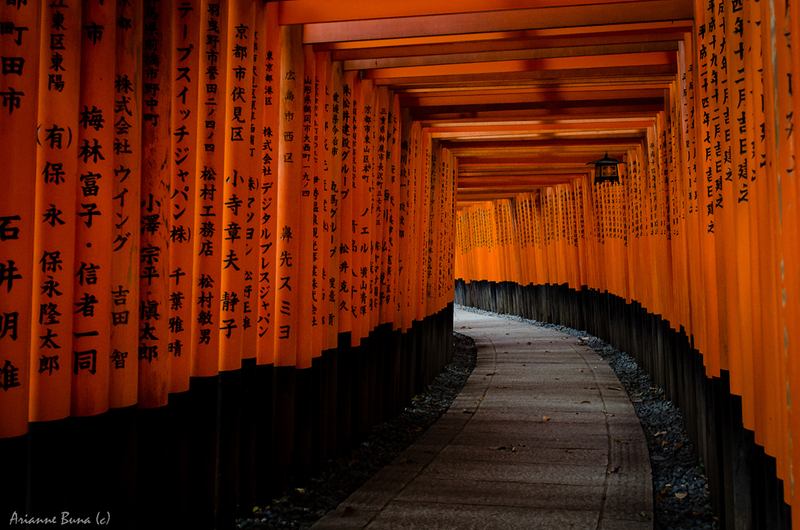 There is no way I am taking Fushimi Inari Taisha off the list and it was the first spot I went to just in case I can’t get enough of it in one day. 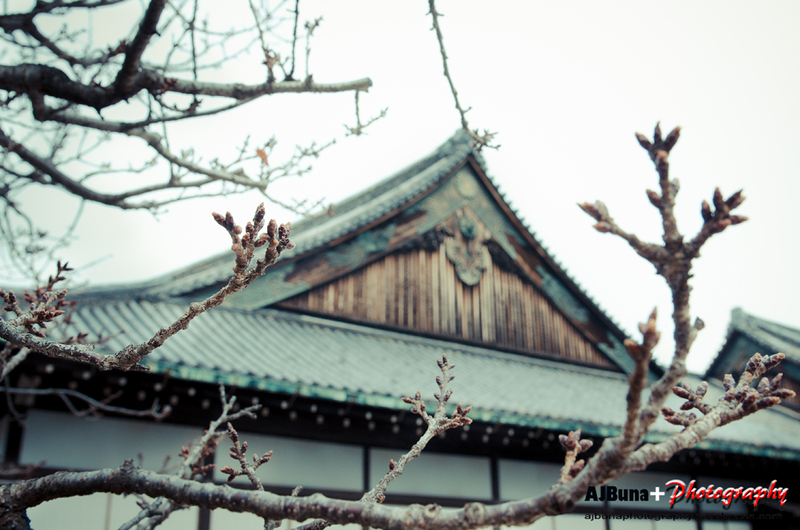 It was an advantage that I was still adjusting to the new time zone that I always woke up early in Japan. There’s almost nobody around in the temples early in the morning so I didn’t worry about Photo Bombers in my photo and by the time I was done and already leaving, I was Photo Bombing other tourists’ photos. 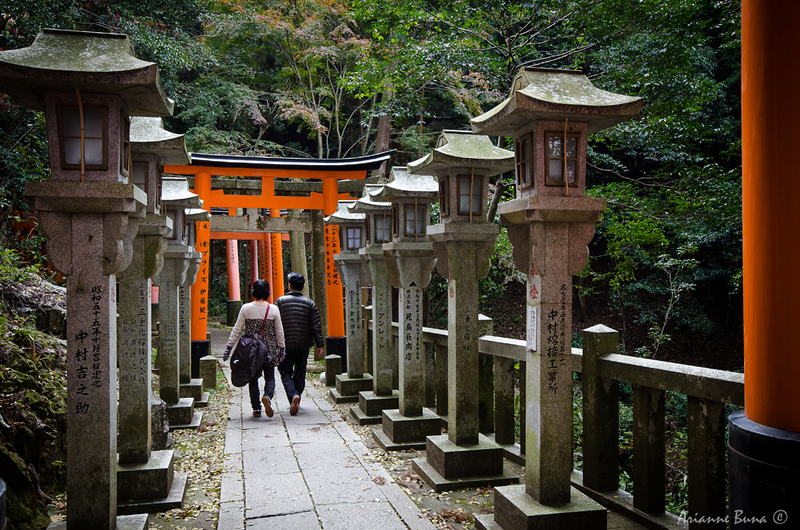 I definitely had my fill of Torii Shrines because the place was so full of it. 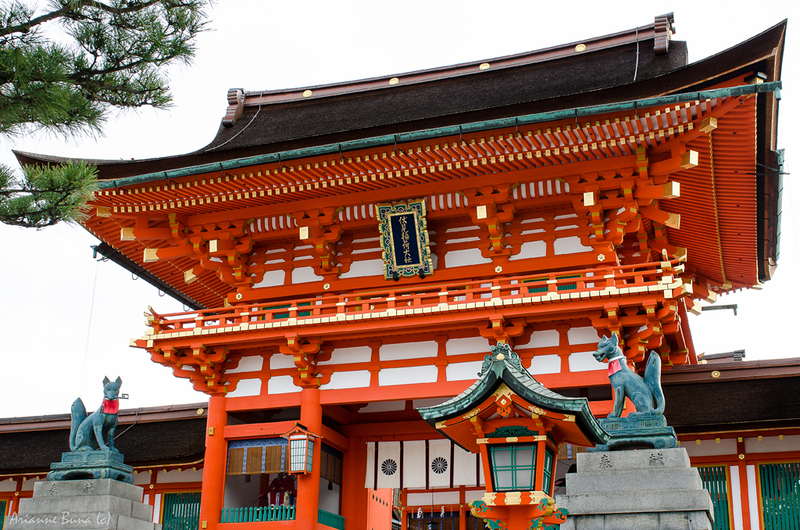 Apparently, the eye-catching orange shrines are donated by Japanese businessmen to pray for wealth to Inari – the God of Rice among other things. 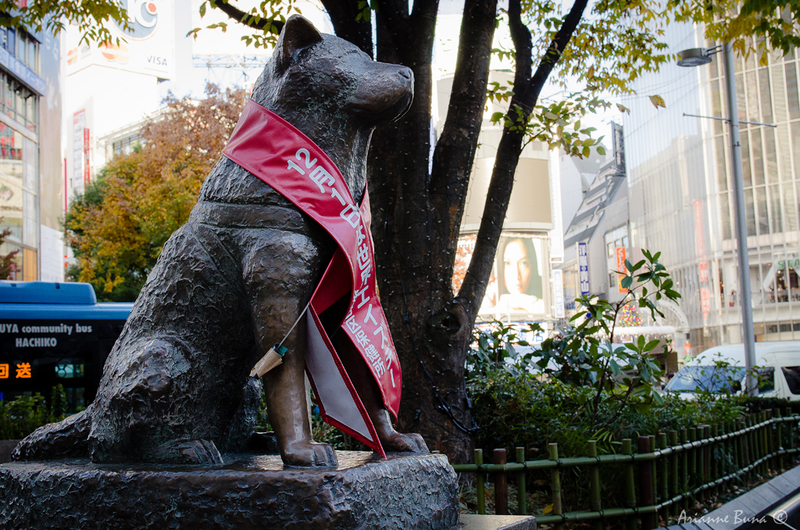 Besides the shrines, statues of foxes or kitsune can be seen everywhere. 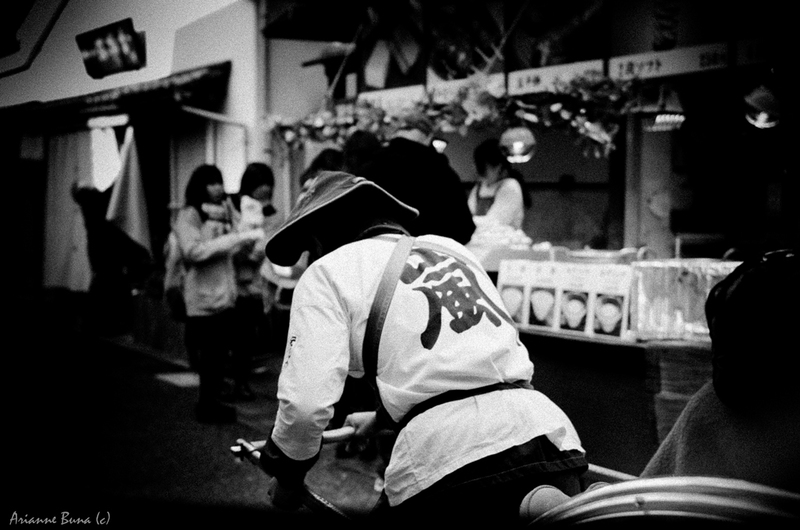 The kitsune are considered as messengers and commonly depicted biting a key to unlock the rice granaries. 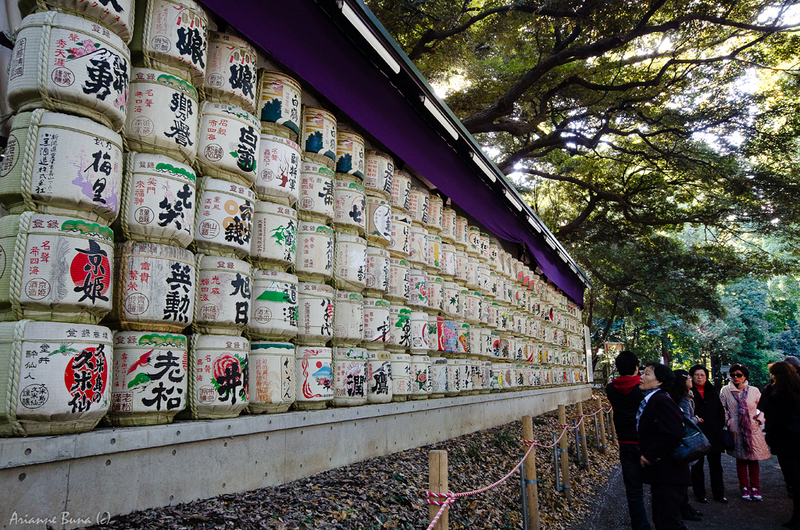 To simply put it, donate a Torii, be kind to the Kitsune and hopfefully you’ll get yourself a rice granary. Well…something like that. 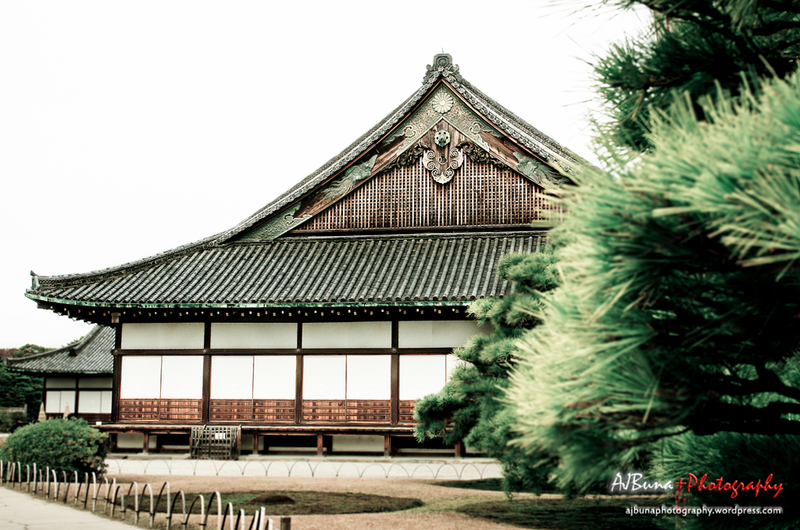 Next Stop was the Nijo Castle. 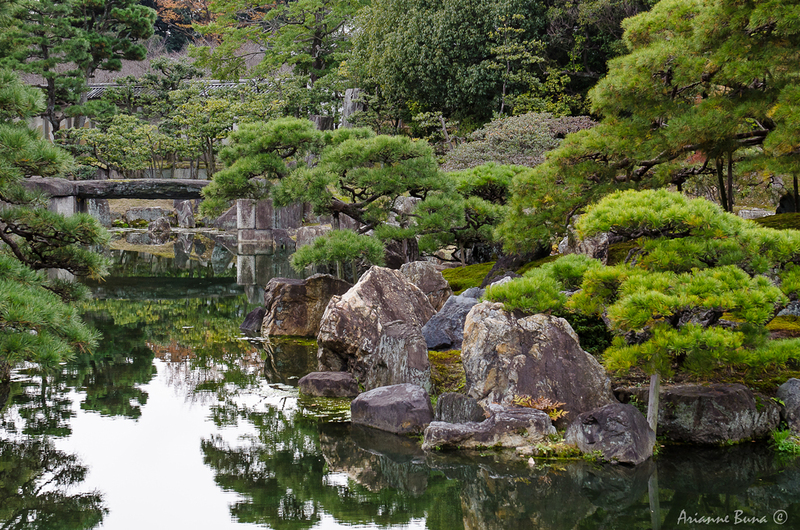 To me, the highlights of the castle were its amazing autumn foliage, unbelievably manicured gardens and its inspiring lagoons. Of course, there is the Castle but since they don’t allow photography inside, tourists tend to just breeze through that part and spend most of their time in the gardens. What I remember about the castle interior though is that the wooden floors squeak. According to the guide, these floors are actually called “Nightingale Floors” because they were specifically designed to squeak not in an annoying tone but somewhat resembling birds chirping. It was very convincing especially when groups of people walk on the nightingale floors as the squeaks sound as if a group of birds were playing outside the windows. 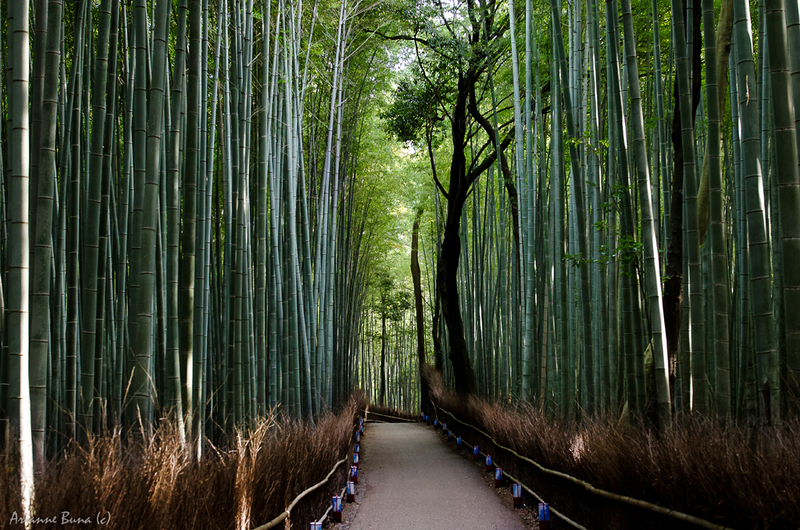 Last on my list was Arashiyama to see the Bamboo Forest. 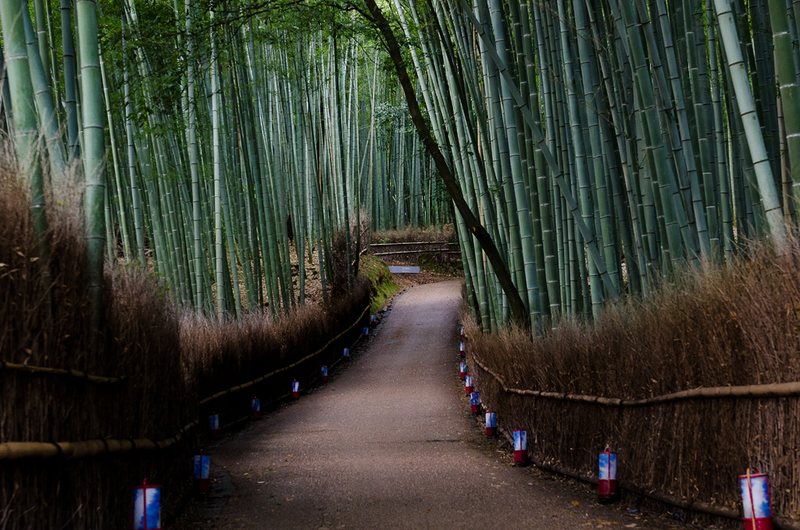 Although it might sound strange to include the Bamboo Forest as part of my itinerary when there’s plenty of it where I came from, this was entirely different. Back home that is Philippine Bamboo, what they have here is Japanese Bamboo get it? 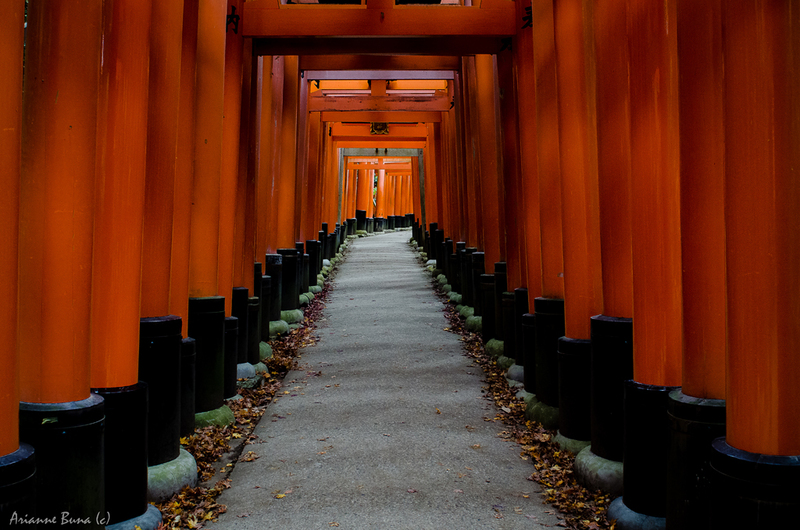 And like I said earlier, being early to places like the Fushimi Inari and the Bamboo Forest makes a big difference because your photos can be easily bombed with tourists. 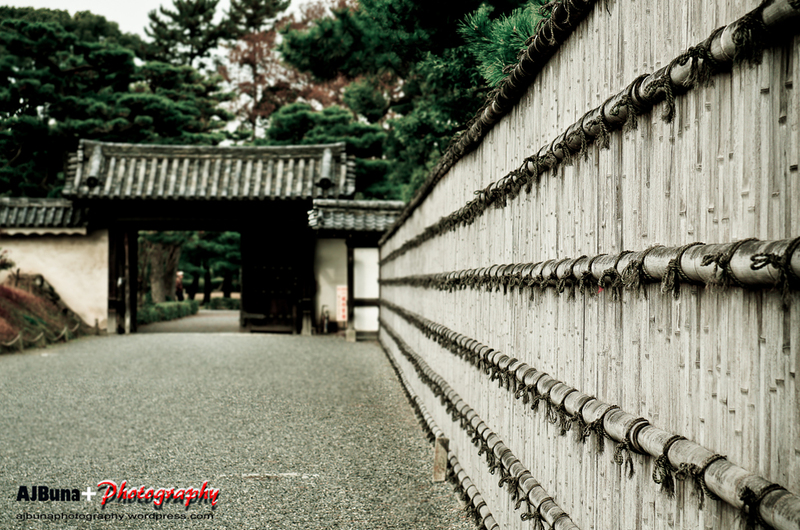 Also, never forget to bring your tripod because cold mornings and low light don’t mix well. 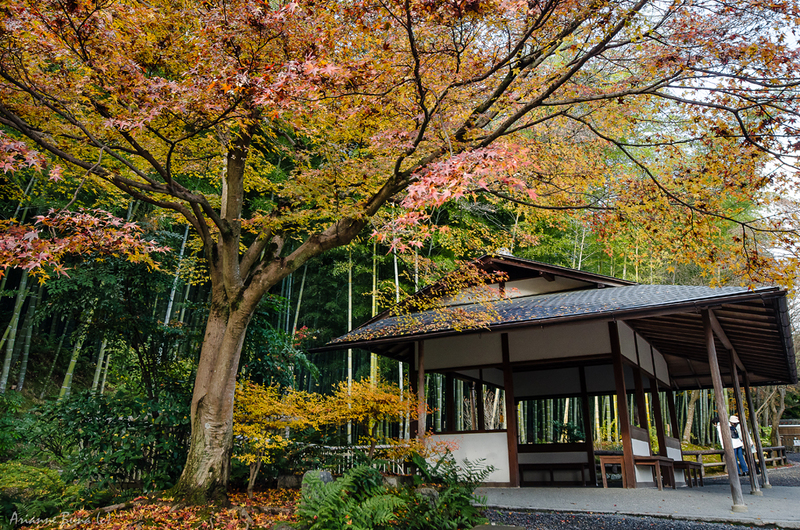 There’s more to Arashiyama than just the Bamboo forest. By midday, the place was buzzing with businesses catering to tourists selling anything from Cakes to Trinkets and even Mushrooms. Rickshaws are also everywhere in Arashiyama and the drivers are friendly too. They do not hesitate to give you a small bow even if you just cross glances. 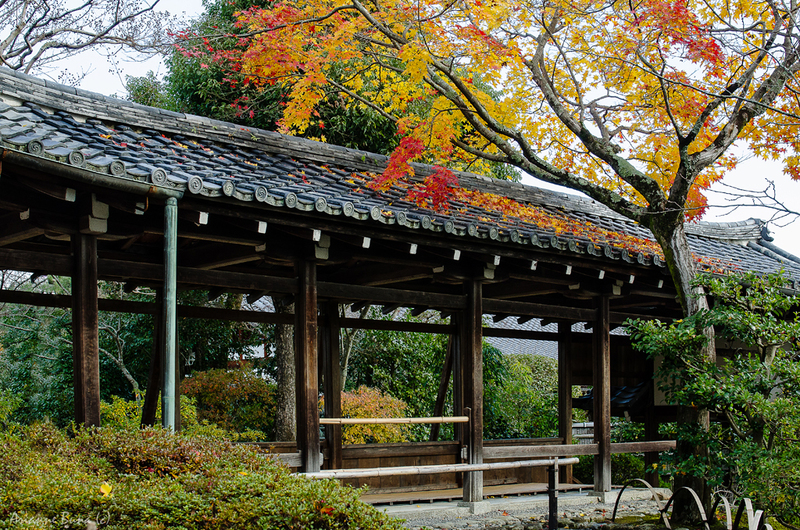 The Tenryu-ji Temple grounds are among the best places to enjoy the autumn leaves in Arashiyama. Actually, it was a bit late since it was already the first week of December nevertheless, the leaves were still impressive. 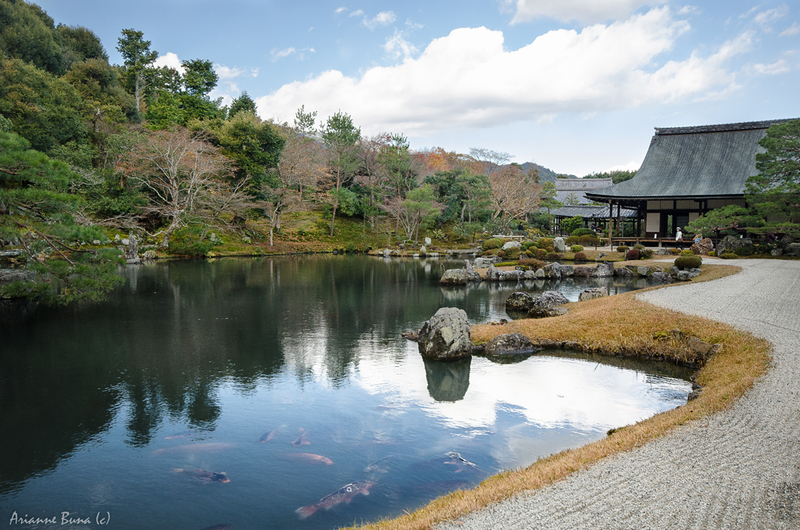 The Temple itself and the Sogen Pond are among its highlights and are said to be one of the great examples of Zen Architecture. 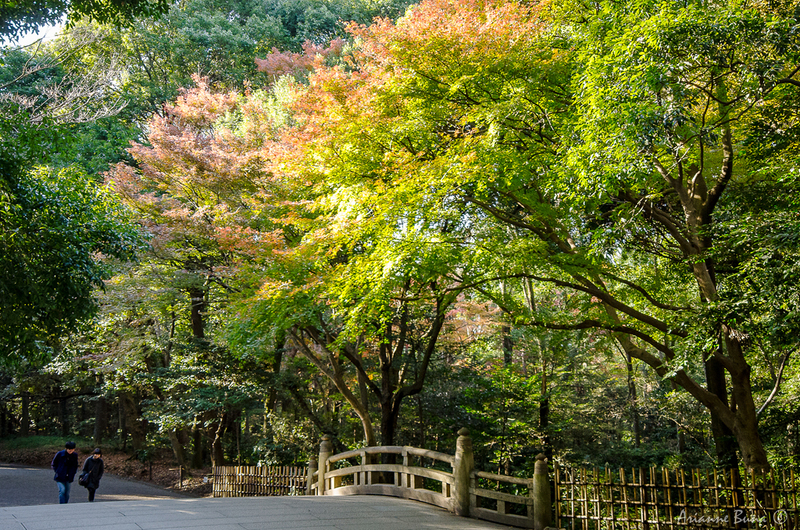 After the Tenryu-ji Temple, I decided to walk further towards Togetsukyo bridge. Here, Mt. 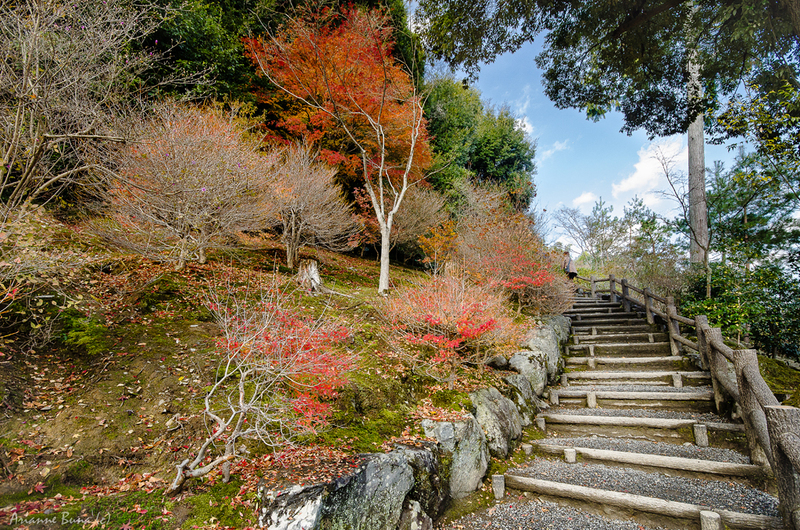 Arashiyama and the Oi River provides a wonderful backdrop for doing just about anything. 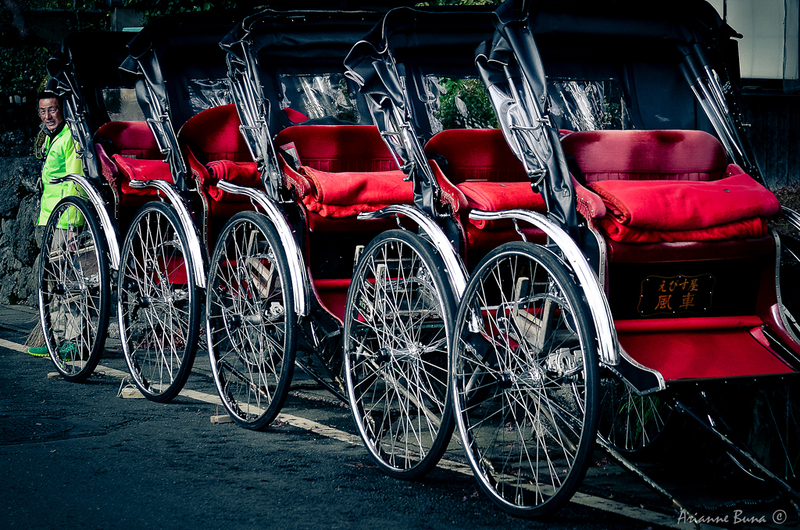 The road running parallel to Oi River was also lined up with Rickshaws waiting for tourist patrons. 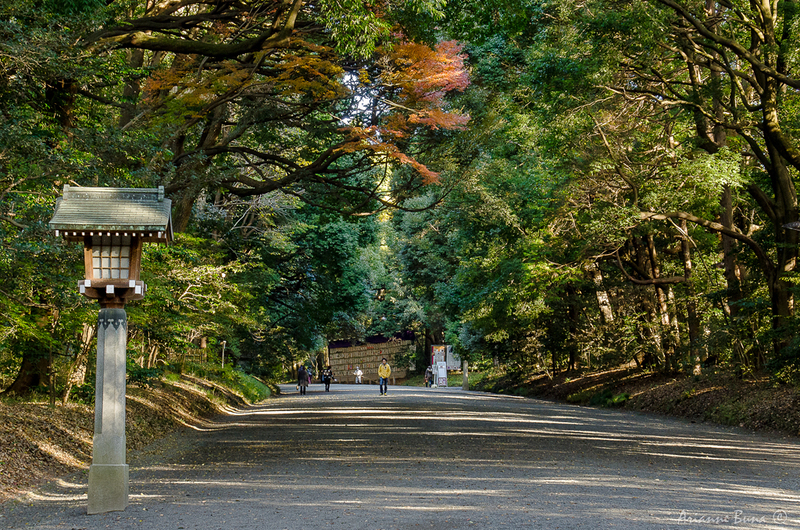 Everything seemed to be in order and despite of the volume of tourists, cleanliness was impressively maintained. 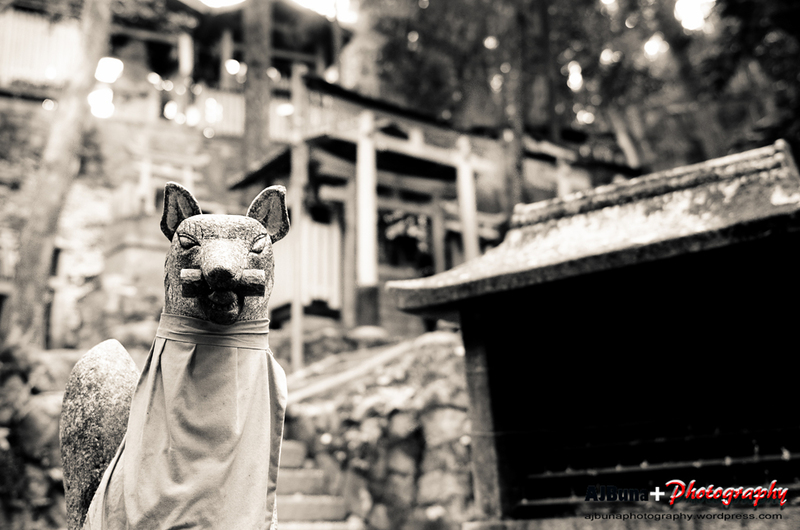 A Tourist Trap in its negative sense was far from the impression I got of Arashiyama. My flight home was through Kansai Airport in Osaka so I hurriedly went back to the hotel after finishing Arashiyama to get the rest of my bags. Osaka was not very far from Kyoto so I chose not to ride the Shinkansen. This time I got on the Haruka Express which was a flat nosed train and looked more muscular compared to the Shinkansen. 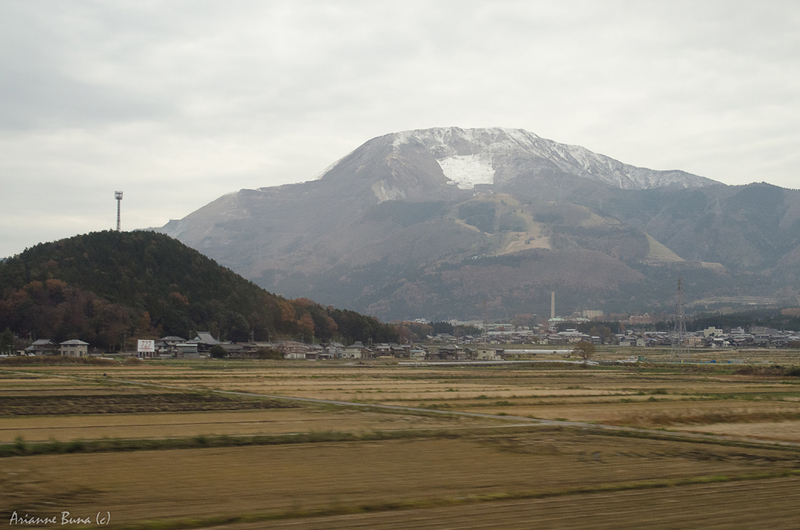 The ride to Kansai Airport was smooth and quiet all throughout. After a short nap, I spent the rest of the trip reviewing the photos I took. It was a proud moment for me as I realized that a few days ago I was only looking at these places on the National Geographic website while now I’ve actually been there and I have my own photo to prove it. Probably that comforting thought and the Zen Gardens taking effect were the reasons I wasn’t sentimental about leaving this time. But I am definitely coming back.